Fixme Split this into sections ? 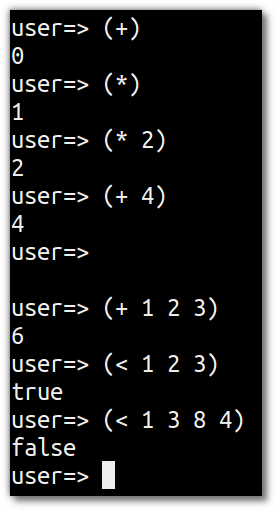 Writing some simple mathematics helps you get used to the form of Clojure. 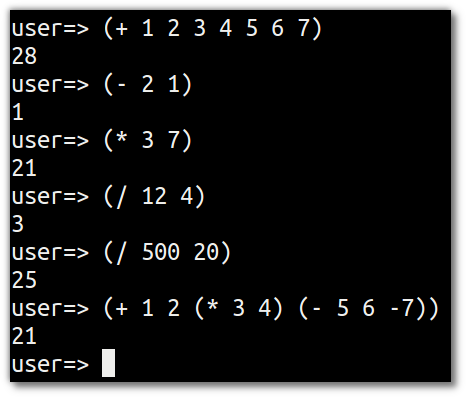 Unlike other languages, Clojure does not have operators for mathematics. Instead + - * / are all functions in their own right. As Clojure uses pre-fix notation then mathematical expressions are always unambiguous. There is no need for an operator precedence table in Clojure. Equality is represented by the = function. Yes, = is a proper function too, not just an operator as with other languages. Equality is very efficient when your data structures are immutable. For example if you have very large data sets, you can simply compare a hash value to see if those data structures are the same. Clojure uses Java&apos;s object types for booleans, strings and numbers. Use the class function to inspect them.